If you ever thought about becoming a writer or just want to check out what’s happening in the city, WhereNYC is looking for enthusiastic writers to cover events in the city. 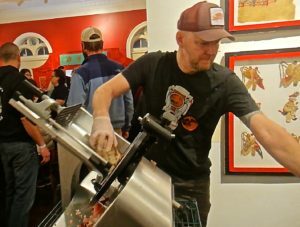 From foodie soirées, cultural expos, cocktail receptions to museum after-hours events, experience the city as never before. This is a fantastic opportunity to have fun and meet people. For inquires, please contact SpirikalNYC@gmail.com or by Facebook. Those lucky enough to meet passionate, knowledgeable winemakers know to appreciate the product with each swirl of the glass. 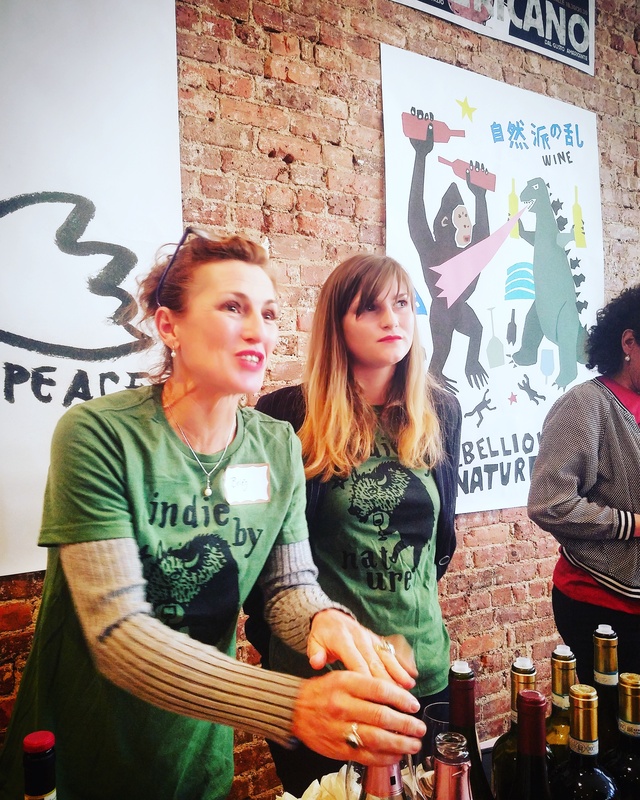 Such was the case many times over at a recent event held by Indie Wineries near Union Square. 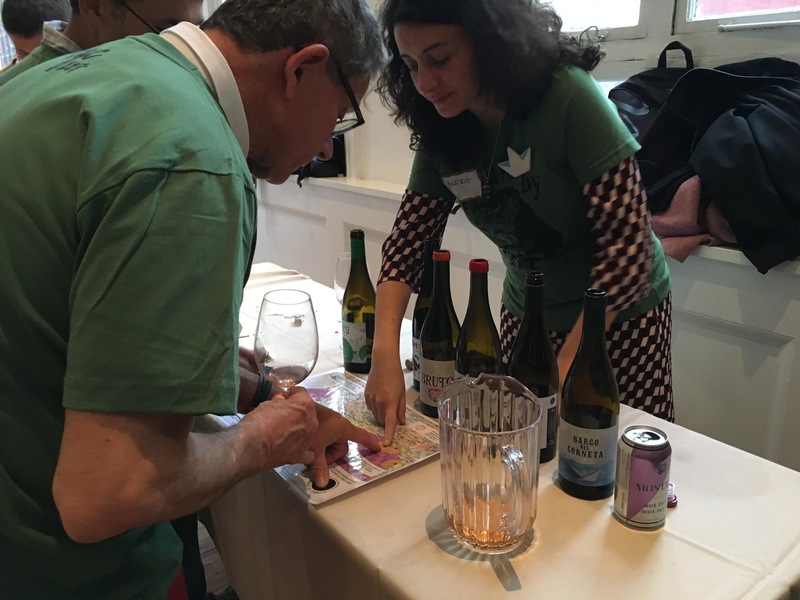 This lively event included winemakers and distributors from all corners of the world, offering wines that surprised and delighted. Indie Wineries specializes in supporting and distributing of independent wine producers who abide by organic farming practices and whose small batch style of production yields wines of truly artisanal quality. 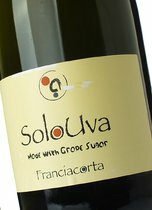 Highlights of the portfolio tasting included: SoloUva Brut, which now tops my list of sparkling wines to be sought out as a companion to a mouthful of bread and cheese or perhaps a decadent slice of sautéed foie gras. This glass graces the nose and tongue with notes of grapefruit and apricot at first sip, followed by a surprisingly long, supple finish. Similarly, Principiano’s Extra Brut Rosé also stood out as a fine aperitif for a spread of hors d’œuvres at a future dinner party. Hailing from Willamette Valley, Oregon, Love and Squalor’s 2014 Pinot Noir, retailing at $27, balances ripe fruit–cherry and plum– with earthy flavors reminiscent of wild mushrooms from the forest floor. A tannic finish complements the wines delicacy with an unapologetic sturdiness. Wines from Old World Winery of the Russian River Valley in California share none of the penchant of the region’s largest producers for wines of high alcohol and sugar content. Instead, these wines are the result of the maker’s adherence to a long tradition of Old World style production, pressing all wine by foot and using only elements in the winemaking process (wild yeast, protective sulfurs) that can be found on the winery’s grounds. Production is organic and biodynamic, and includes traditional Rhone varietals as well as the luminous and rare Abouriou. This grape, previously unknown to me, is full-bodied and tannic, rich with dark fruit flavors. Finally, the tasting came to a close with a sip of a perfectly lively and crisp Verdejo from producer Barco del Corneta of Spain. Founded six years ago by 33-year-old Beatriz Herranz and producing just 5,000 bottles per harvest, this tiny winery included a map in its presentation, but the glass itself was cause enough to encourage investigation into its origins. definition. When one lifts a glass of wine that bears the Indie Wineries distribution label, one will not be disappointed. So, the next time you’re perusing a wine list and find yourself at a loss for where to begin, you might try asking your server whether or not they offer wines from Indie Wineries. 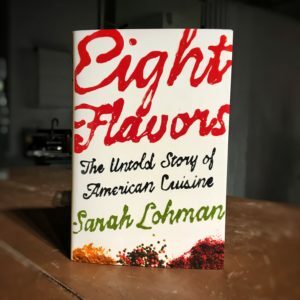 Sarah Lohman’s book: Eight Flavors: The Untold Story of American Cuisine reveals the rich history behind black pepper, M.S.G., curry powder, soy sauce, chilli powder, garlic, vanilla and sriracha and how they became America’s pantry staples. 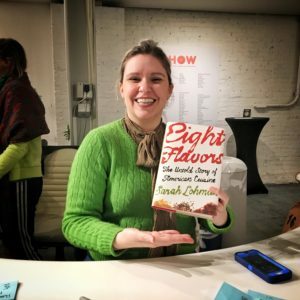 Ms. Lohman began her talk at MOFAD with a brief synopsis on the eight ingredients, diving deeper into their origins. Why choose to focus on these particular eight flavors? With the help of a Googles Ngram Viewer, she compiled and graphed a list of commonly used ingredients. After analyzing the results, she filtered out the best candidates according to their popularity over a span of 300 years. Of the remaining eight flavors, according to Ms. Lohman, each have defined the contemporary American palette. One of the most interesting finds was the introduction of curry powder in the U.S.. Having had originated some 4000 years ago in East Asia, it was through the East India Company and eventually the British empire that brought Indian cooking to the West. According to Lohman, curry’s arrival in the U.S. came via Great Britain through a Punjabi-Indian chef Ranji Smile who, while working at a London hotel in the 1890s, mesmerized a top New York restaurateur with his curry dish. A deal was made and shortly thereafter, Smile began serving his curry dishes to New York’s social elite. 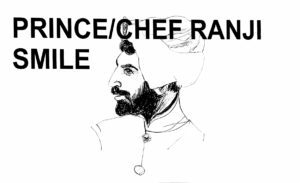 As one of America’s first celebrity chefs, he led a rockstar lifestyle, touring the States, hosting cooking demonstrations amidst elaborate stage acts that included sword swallowers and dancing girls. His fate took, however, a cruel twist when after living in America for 30 years, his application for U.S. citizenship was denied, as it extended only to Anglo-Saxon whites and black Americans. 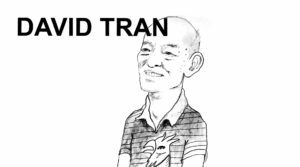 His story ends there with speculation that he left the U.S. out of sheer frustration and faded into obscurity. Introduced to the America in 1760, soy sauce was produced in Thunderbolt, Georgia by English sailor and entrepreneur Samuel Bowen. By the 1800s it was available along the east coast. It’s popularity helped spawn derivatives such as Worcestershire Sauce and Ketchup. In 1973, the Japanese soy sauce company, Kikkoman opened its first American factory in Wisconsin. 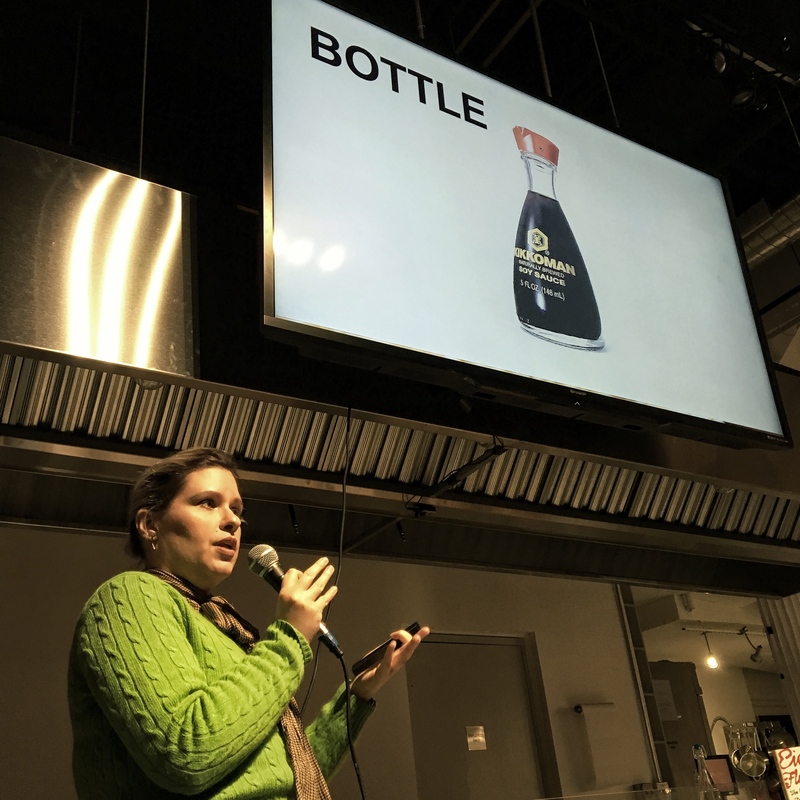 The following year, it published a cookbook of both traditional Japanese dishes and American classics incorporating Kikkoman soy sauce. The 1974-cover also daringly featured a modern, mixed family consisting of a white-American dad, Japanese mom, and their two kids enjoying a barbecue. 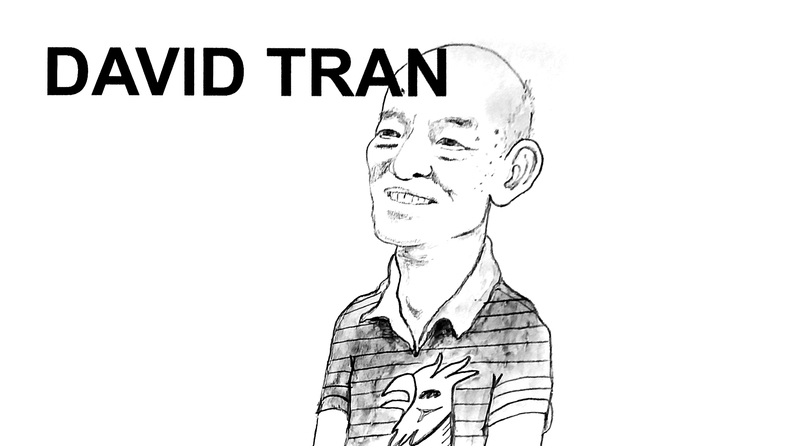 David Tran, founder of Huy Fong Foods inc. Image courtesy of Sarah Lohman. While curry and soy sauce also came from abroad, the Sriracha we know and love originated here with Southeast Asian flavors. Sriracha, or more specifically, Huy Fong Foods Sriracha was developed in southern California by Vietnamese immigrant David Tran. He adapted the traditional Sriracha recipe to use California’s red jalapeño peppers. In the 1980s it was a small family run operation that distributed locally. Ever since the first batch was sold he struggled to keep up with the demand. Within several years, the operation had scaled to the size of a corporate manufacturing facility. Today, Huy Fong Foods outsources their red jalapeño peppers to Underwood Farms, located just north of Los Angeles. Huy Fong Foods Sriracha meteoric rise in the culinary world is rather impressive, considering the lack of marketing the company has done to promote its products. It is a common but very poignant story of immigrants and Americans traveling abroad who brought new flavors and ideas of cuisine. As new communities arrive, mix and evolve, the flavors change and so does the American palate. With each new inspiration, the notion of traditional cuisine evolves molds with other cultures. Like a melting pot of many ingredients, the eight flavors featured Sarah Lohman’s book fit like a mosaic of different cultures blending into one identity. “I come from Italy but I fell in love with the Catskills,” Giuseppe Viterale the friendly, passionate owner of Ornella Trattoria in Astoria said with a thick Italian accent. Directing me to the thin slices of fat-marbled prosciutto, he attributes the quality of his products to New York’s ideal climate. “You got the perfect combo of dryness and humidity.” His proscuitto is moist, refreshing without being too salty. It’s all natural he assures me. No nitrates or artificial preservatives, I greedily take another slice. His philosophy of making the perfect ham of European tradition and local quality ingredients sums up the 2017 Charcuterie Masters, which featured some of the best-ever cured meats by fanatically devoted individuals who have put their own stamp on a very old tradition. 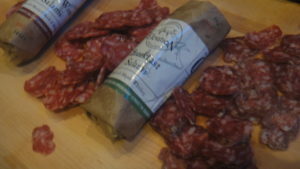 Preserving meats dates back millennia but the term ‘charcuterie’ entered our lexicon somewhere around the 15th century. With no proper refrigeration, salt was the magic ingredient to keep meat from spoiling. 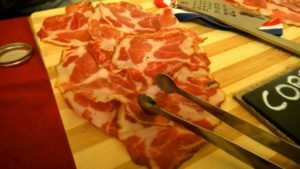 While the process is deeply rooted in human history, some charcuterie favorites have gotten a bad rap from the W.H.O.’s recent report linking bacon to cancer; however, it has to do more with nitrates than meat. Worries aside, the hams, terrines, sausages and puddings at the Charcuterie Masters were truly exceptional. The blend European ingenuity and American produce made an almost perfect love affair for the guests hopping from table to table devouring the meaty tastings on offer. 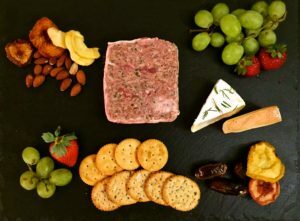 Indianapolis-based Smoking Goose Meatery’s French-inspired rabbit and pork cheek terrine was the absolute show stopper. The balance of lean and fat, offal and herbs with faultless seasoning made it a joy to eat. Pair with a glass of dry Muscadet and a cornichon or two for the perfect dinner party canapé. Flying the Basque tricolore, Long Island City’s Michelin-starred M. Wells’ pan -roasted black pudding with apple purée was a match made in heaven with a crispy exterior embedded with nuggets of fat. 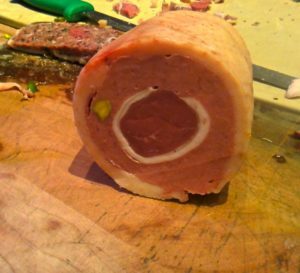 Similarly to the French Lyonnais classic, Dodine de canard, Dicksons Farmstand Meats‘ Duck Galantine with pistachios, another winner, was intense with juicy duck and pork flavor. A few more nuts would not have gone amiss. There were delights of Italy on show as well. End Meats Italian-style Lonza was beautifully done. Only 16 months in the business, Denver-based Il Porcelino’s award-winning fat-marbled Coppa, cacciatore and pork liver mousse were simply perfect. Charcuterie Masters’ participants took traditional charcuterie a step further with new ingredients. 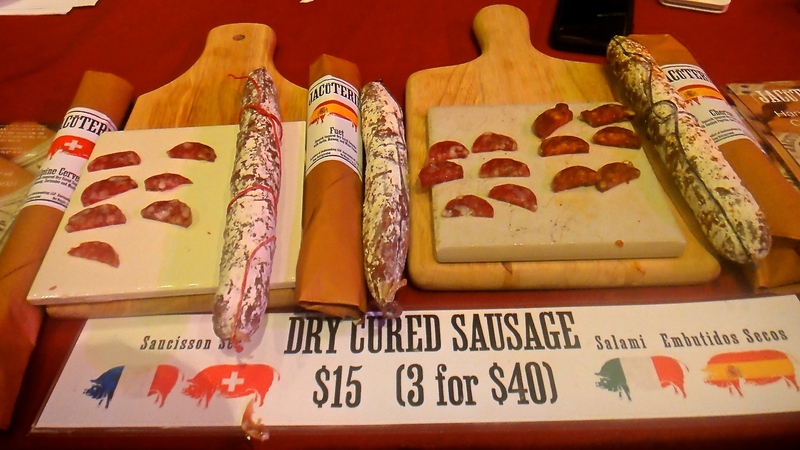 Elevation Meats hailing also from The Centennial State gave their own delicious twist on Italian cured sausages using local ale, barley wine, fennel and even molé. 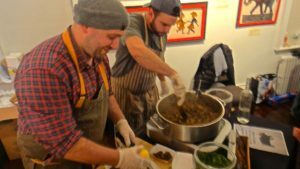 Hudson valley favorites, Jacüterie combines inspirations of Italy, France and Switzerland but also ingeniously incorporates oriental flavors such as lemongrass for its Vietnamese-inspired sausage and its Anglo-Indian style Bombay Banger. Jersery-based Caseiro e Bom Gourmet brought a bit of Latin theatre to their colorful booth with hanging hams as Rodrigo Duarte carved cured Iberico-style ham. 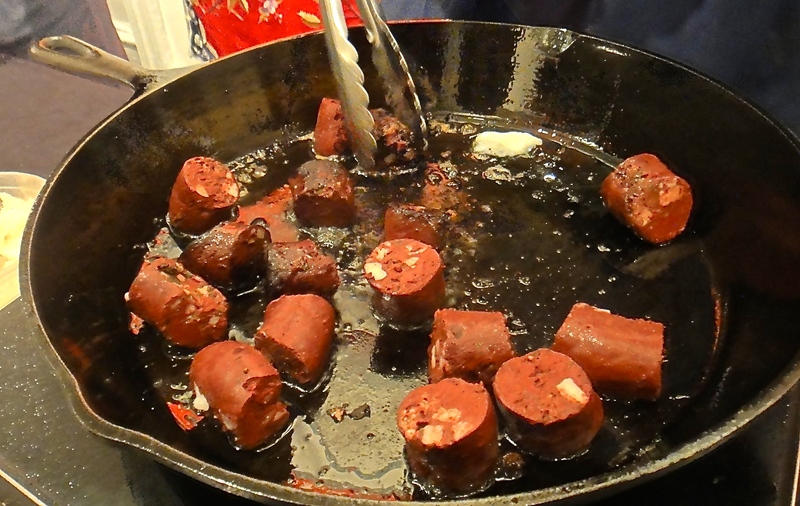 Using pigs imported from Portugal, the chorizos were so juicy and succulent without being too salty or greasy. There were some delicious cheesy options along cured meats at the Charcuterie Masters. 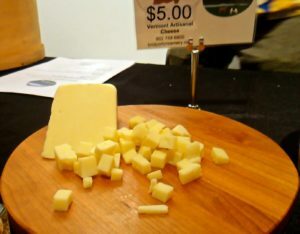 Vermont farmstead Bridport Creamery’s Lake Street Colby, a texture of cheddar but taste of chaume, must be on everyone’s cheeseboard. For those after a little home comfort wherever home might be, the Smoke Show NYC’s Carolina-style pulled pork was the best I’ve ever tasted. Normally stringy with a horrid over sweet barbecue sauce, Smoke Show’s authentic version, however, was so soft with a just a little vinegar to lift it all. Simple and clever. 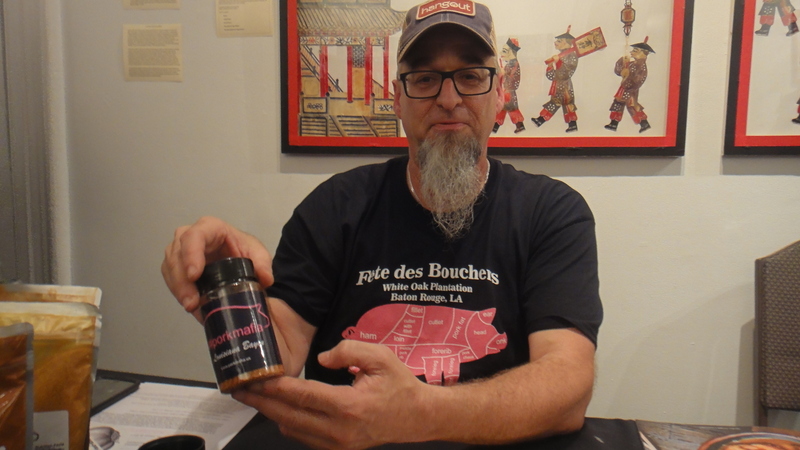 If barbecue flavors are what you are after spice blenders #Porkmafia offered array of different combinations. 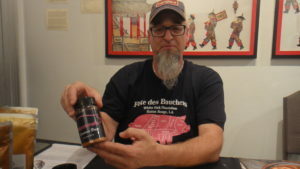 In spite of its menacing name, #Porkmafia’s Texas Gold dry rub packed heat with a slight vinegary finish. Very enjoyable and had a curry-like punch of flavor. 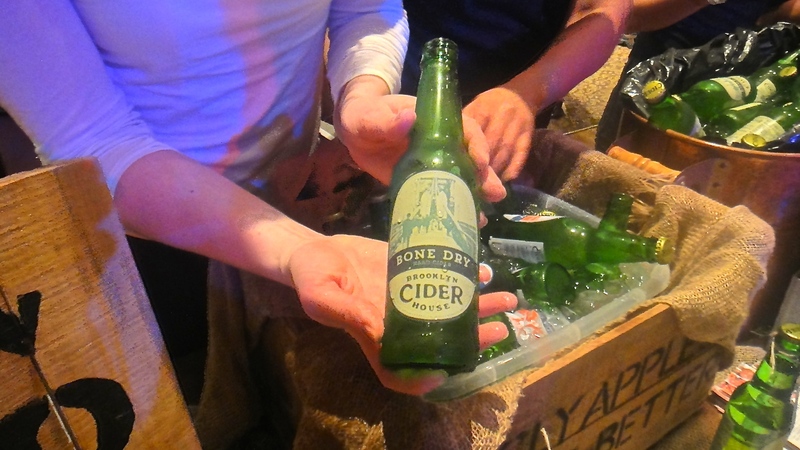 While there were hoppy beer and local wines available, Brooklyn Cider House’s Bone Dry was lovely and sour, reminiscent of a Bruxellois Gueuze from Belgium. And finally Upstate’s Heather Ridge Farm’s Root Beer, based on an 1876 recipe, was another pleasant surprise that delivered a burst of flavor. The passionate participants of this years Charcuterie Masters have put serious commitment and love into making the best product possible. Once the laughing stock of the cured meat work, artisanal American producers have finally put the U.S. on the charcuterie map with amazing flavor and quality ingredients.